That’s what some kind person should have done to me this morning in my local ‘all things fabricy’ shop – carried me away, right out the door, escorted to the car, and seen on my way home! Instead, I lingered! Oh dear! I only went in for denim and muslin! But I came out with this lot! What had happended was the shop had recently acquired a house clearance of wonderful fabric remnants and were actively encouraging customers to have a rummage (oh how I love to rummage!) and then the clincher! They were selling these off at ridiculously cheap prices. Now this stuff was top quality. 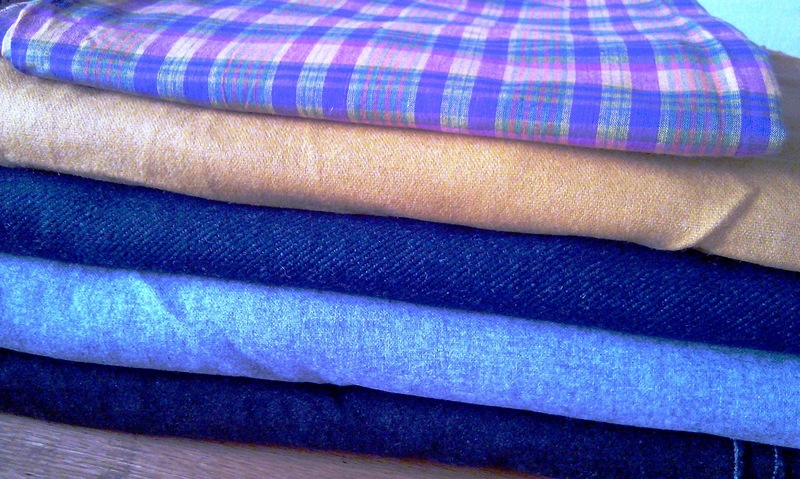 I got some sumptuous Italian wool flannel in grey and mustard, and several other large pieces which were only a few pounds per metre. Most of them are 60″ wide, so I might try the grey flannel as a quilt back to my Stained quilt (anything to avoid making a pieced back!). 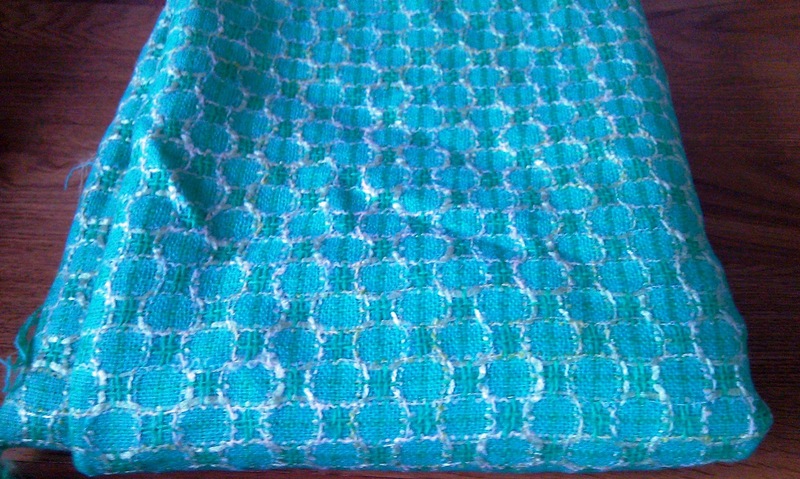 And this aqua something-or-other (don’t exactly know what it is) will go lovely in my bedroom, maybe some cushions or a throw or both – there’s loads of it! So you see, I did get a bit carried away, but I could have bought soooooooooo much more! I think I should stay away from this lovely shop for a wee while! Previous Previous post: Cushion Goodness!